The company held their weekly sale of prime stock where an entry of 26 prime cattle, bulls and OTM were forward. An extremely mixed entry of quality were a flying trade throughout with the new buyer at ringside making his presence felt, and will be in attendance next week. Richard Ritson topped the sale at 139p for a Limousin x suckler, with others to 136p from Meikle Whitriggs. Native breeds topped at 124p for a Galloway from John Higgs Farms, which grossed £744.80. 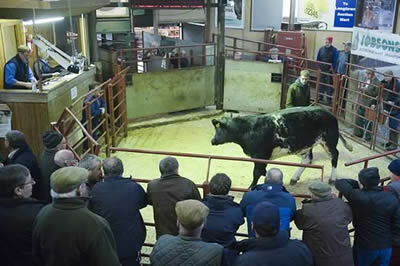 Black and whites sold to 119p from Messrs Cowan, with heavyweights to £968.60 from Low Moat. Beef cows sold to £924.80. An aged Blonde bull sold to £1300 from Stephen Blaylock, Coldsteam. A nice entry of prime cattle met ferocious demand from the butchers and wholesalers. Colin Beattie made a welcome return with a trailer load of steers and heifers, which met a marvelous trade, with a superb black heifer selling to 226p with the trailer load averaging 219.5p. Other heifers to 216p from Messrs Fiddler and to 214p from Stuart and Tucker Armstrong. Steers were a mixed selection and sold extremely well topping at 213p for a Limousin from Woodfield. Possibly the trade of the day was a consignment of overage steers which topped at 200p from Tom Skyrme for a British Blue x. Maximum commission £30 a head. Cheques available the following afternoon. For any advice on marketing your barren cows, bulls or clean cattle contact Craig 07901 787 636. The sale of spring lambs with 62 head were forward in a variety of weights. 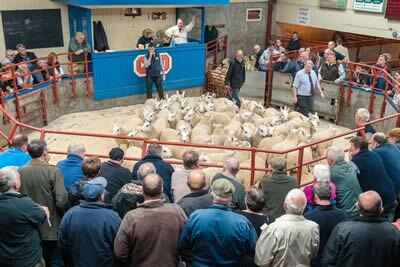 The sale topped at £114 for Texels from Hot Rod, Kimmeter Green, Annan and to 265p from the same home. Lambs are now keenly sought after and are short of buyer requirements, many more could be sold to advantage each week. Texel 265p Kimmeter Green, 262p Guardsmill & Dormansteads, 253p Park Nook, 236p Sceugh Dyke, 230p Kimmeter Green. Suffolk 254p, 253p Guardsmill, 253p, 243p, 226p Sceugh Dyke, 224p Kimmeter Green, 217p The Land, 204p Burgh Head, 196p The Land. Charollais 242p Kimmeter Green, 207p 3 Skaill. Texel £114 Kimmeter Green, £110 Dormansteads, £109 Guardsmill & Park Nook, £106 Sceugh Dyke. Suffolk £112 Sceugh Dyke, £110 The Land, £109, £106 Sceugh Dyke, £106 Burgh Head, £104 Guardsmill, £101 Kimmeter Green, £98 The Land, £92 Hill Top. Beltex 252p The Wreay, 233p Uppercleuch, 205p Glendue, 200p Uppercleuch. Texel 232p Buteland, 226p Sykehead, 224p Mallsgate Hall & Sykehead, 223p Sykehead & Kirtleton House, 222p Keepershield, 221p Whiteside & Thorns, 220p High Aketon & Sykehead, 219p Oakshawhill & Low Hallburn. Suffolk 223p, 219p Kirtleton House, 212p Keepershield, 210p Broomhills & Conon Brae, 209p Heathery Hall & Hill of Balmaclellan, 206p Sykehead & Weeds, 205p Sykehead, 202p Weeds, 200p Sornfallow, 198p Plumpe, 197p High House. 206p Hill of Balmaclellan, 205p Sowerby Wood, 203p Sorbie. Continental 219p Heathery Hall, 209p Sykehead. Blackface 218p Whiteside & Heathery Hall, 217p Whiteside & Patties Hill, 216p West Scales, 215p Heathery Hall, 214p, 213p Glendinning, 211p, 210p Glenogle, 210p Sykehead, 209p Glendinning, Glenogle & Hill of Balmaclellan. Greyface 215p Heathery Hall, 210p Hallbankgate, 209p Buteland, 208p Longlea, 205p Uppercleuch, 205p, 204p Redesmouth, 202p Sykehead, 200p Golden Lane, 198p Buteland, 195p Broomhills. Half Bred 197p, 186p Aimster. Charollais 193p Sceugh Dyke, 190p Whitegates. Suffolk £120 High House, £118, £116 Kirtleton House, £115, £113 High House, £112 Hill of Balmaclellan, £111 Sykehead, £109 Whitegates, £108 Low Hallburn & Keepershields, £107 Weeds, £106 Whitegates & Thorns, £103 Broomhills. Texel £116 Buteland, Dashwell Green, Fiddleton Bank End & Low Hallburn, £114 High House, Yonderton, Sykehead & Hillview Court, £112 Burray, Dinwoodie Green, Thomasdene. North Country Cheviot £102 Sornfallow, £100 Burrows, £95 Sornfallow, £90 Rowanburnfoot, £88, £86 Boreland, £81 Wester Dunnet. Blackface £100 Boreland, £97.50 Patties Hill, £96 Hill of Balmaclellan, £95 Sceugh Dyke & Glenogle, £94 Redesmouth, £92 Glendinning, £90.50 Patties Hill, £89.50 Glendinning, £88 Kirkhill & Glenogle, £87 West Scales & Whiteside. Greyface £100 High House, £99, £98 Buteland, £94 Leithanhall & Redesmouth, £92 Whitegates & Broom Park, £91 Sowerby Wood, £90 Buteland & Hill of Balmaclellan, £87 Broomhills, £85 Sykehead, Hill of Balmaclellan & Buteland, £84 Allenheads. Contintenal £100 Kirkend, £87.50 Heathery Hall. Hill Cheviot £100 Cleughbrae, £99 Falnash, £96.50 Burrows, £94 Sourhope & Falnash, £90.50 Hill of Balmaclellan, £90 Falnash, Glendinning & Bloch, £89 Sowerby Wood, £88 Bloch, £87 Sykehead & Sowerby Wood, £85.50 Mallsburn, £84 Sorbie. Half Bred £95 Aimster, £88 Lythmore. Swaledale £75 The Bog & Sanders Close, £74 Allenheads, £72 Weeds, £70 Glenhill & Allenheads. A much larger show of 3,540 cast ewes and rams was presented to the usual ring of customers, with heavy ewes £5-6 easier on the week but lightweight ewes and lean selling ewes remaining a strong trade and short of requirements. Rams sharper. Sale topped at £142 for Suffolk rams from Kilnford Croft, Dumfries with ewes to £136 for Texel ewes from The Wreay, Wigton. Texel £136, £130 The Wreay, £130 Aimster, Old Hall & Kirkhill, £128 Beckfoot, £126 Leithanhall, £120 The Wreay, £118 Chaseside, £116 Beckfoot, £114 Lower Ashtrees, High House, Sowerby Wood & Aimster, £112 Bardnaclaven. Charollais £119 Beckfoot, £110 Chaseside & Broom Park, £99 Chaseside, £96 Beckfoot, £95 Chaseside, £92 Riggheads. Suffolk £116 Yonderton, £110 Chaseside, £106 Flex, £104 Kilnford Croft & Chaseside, £100 Fenton, Beckfoot, Chaseside & East Murkle, £98 Beckfoot, £96 Burgh Head, £95 Bodanwydog, Cleifiog Isaf, Newlands, Chaseside & Erw Goch, £94 Ysellog, Sowerby Wood & Skaill, £93 Bardnaclaven, £91 Sowerby Wood & Chaseside. Beltex £98 Glendue, £90 Wallend. North Country Cheviot £95, £92 Aimster, £88 East Murkle & Lythmore, £87 Aimster & Lythmore, £86 Lythmore, £85 Lower Gills, £81 Skaill & Bardnaclaven. Blue Faced Leicester £90 Midtodhills, £89 Nunscleugh. Greyface £79 Broom Park, £78 Greenaton & Croftheads, £77 Little Gala, £76 East Greenridge, £75 Dilston Haugh, Greenaton & Clarghyll, £74 Greenaton & Fenton, £72 Kirkhill & Craig Farm, £71 Leithanhall, £70 Midtown. Border Leicester £76, £67 Aimster. Cheviot Mule £70 Borlick & Sibmister. 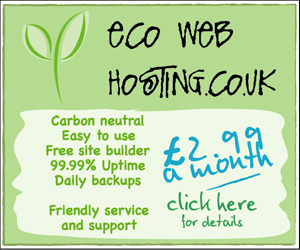 Lleyn £78 Harwood House, £77 Dunnabie, £67 Cobblecroft. Hill Cheviot £71 Mallsburn, £70 Blakehope, £69 Dormansteads, £66 Cassington, £64 Cowburn & Rowanburnfoot, £62 Dunnabie, £59 Barsalloch, £58 Cassington, £57 Borlick, £56 The Mark, £55 Clarghyll. Blackface £70 Redesmouth, £67 Barsalloch, £66 Kirkhill, £65 Redesmouth, £59 High House, £58 Boreland, Blakehope, Redesmouth & Buteland, £56 Barsalloch, Wardrew & Redesmouth. Herdwick £56 High House, £53 Whitegates. Swaledale £55 Beacon Rigg, £53 The Bog, Whitfield, Nunscleugh & East Greenridge, £52 Cemetery Lodge & Midtodhills. Suffolk £142 Kilnford Croft, £136 Skaill, £126 Thomasdene, £112 Chaseside, £105 Kilnford Croft, £104 Flex & Sibmister. Texel £129 Chaseside, £128 Boreland, £126 Beacon Rigg, £125 Ty Croes, £124 Aimster & Glenhill, £122 Whitehall, £120 Boreland, £110 Leithanhall & Old Hall, £108 Flex. Blue Faced Leicester £108 Glenhill, £107 Hightown. North Country Cheviot £88 Burray, £85 Sibmister. Half Bred £84 East Murkle. Cheviot £81 Springwells, £80 Falnash.